Webinar Registration – Health Stand Nutrition Consulting Inc.
"I want to thank Spud.ca and Blush Lane Organic Market for collaborating with me on this webinar. They kindly helped to spread the word and encourage their clients who are focused on achieving a healthy diet to come and join today's event. If you are a spud.ca or blush lane organics shopper welcome! For those of you in the Calgary, Edmonton, Victoria and Vancouver area if you are new to Spud.ca I would encourage you to check out the awesome free grocery delivery service that Spud.ca offers. You can't beat the convenience of healthy local food choices delivered free right to your door. My friends at Spud.ca have also offered a special offer promo code for all new customers attending my webinar. All you need to do to redeem your voucher is use the coupon code CHOCOHOLIC when you checkout online at spud.ca to get $20 off your first order of $60 or more." About this FREE Webinar: If you have ever felt stuck, defeated, stressed, too busy or overwhelmed when it comes to the topic of healthy eating, you are not alone. As a Registered Dietitian for close to 20 years, I have worked with thousands of individuals, parents and employees that want to look and feel better each day. I’ve been listening to your goals, interests and challenges. I have an idea of where you have been stuck or what caused you to fall off the wagon. I’ve been studying solutions to help you overcome these roadblocks and move forward with confidence. SOULFULLY choose foods chosen exclusively for taste, enjoyment and social fun. So would you be surprised to hear that I DON'T recommend “clean eating” or giving up anything? No really, I don't! You can eat anything, just not everything. It is all about being intentional about your choices. I’ve figured out the step-by-step process of what needs to happen at what time and in what order to move from where you are now to where you want to be. Once you understand the art and science of a healthy and soulful eating system, you can put this strategy on autopilot. Healthy eating becomes easier each day because you have built in enough veggies and other good stuff, but you still have a life that includes your favorite fun foods (such as chocolate or French fries). Having a system also means you are not second guessing your food choices, feeling guilty and not overwhelmed with meal planning. It also means your health and energy will be better and you will be moving towards your personal best weight. I am revealing the system I use for eating healthful AND soulful living and the steps for simplifying meal planning in my live, FREE Master Class Webinar. Click here to grab your seat! I’ll be the first to admit that it can be really frustrating and overwhelming to decide what, when, where and how much to eat at home and on the go. However, when you have a system like I do, healthy eating is much simpler, easier (and tastier). So how do you begin the process? The secret is to understand the most important mindset shifts needed for nutrition success and a meal planning system that is fast and flexible. That way you can easily adapt to all the changes life and your schedule will toss you. To help you put this strategy in action, join me next week for my live, FREE Master Class . . . Stick with me and I’ll walk you through how to create your plan, step-by-step. This special training is for YOU if you want to finally create a sustainable healthy eating plan that works for even the busiest schedule. You can count on me to deliver credible advice that doesn’t include weird food you can’t buy at a grocery store (and actually TASTES GOOD). This training is also for YOU if you are confused about what you “should” eat and appreciate a NO-NONSENSE approach to your lifestyle. This training is also a must if you have battled your weight and want to break out of diet prison. CEO (Chief Energy Officer) Health Stand Nutrition Consulting Inc.
P.S. I will be giving out some awesome bonuses for attending, so make sure to Sign Up Now and show up a few minutes early to grab your seat! "...eating well doesn’t have to be difficult... small changes can really make a difference"
Your positive contagious energy and humour generated optimism with our group. Your stories and practical tips not only captivated the attention of our group, but inspired us to take charge of our health. We learned that eating well doesn’t have to be difficult, and that small changes can really make a difference in how we feel at work every day. Your fresh approach to healthy eating and philosophy that all foods can fit really allowed you to connect with the audience. Thanks! "...lively, engaging, captivating...delivers great fresh ideas!" Andrea is a spitfire! She is lively, engaging, captivating and delivers great fresh ideas! She dresses up the topic of nutrition and takes it to a whole new level. In today’s fast paced and stressed out world it is an important message to hear for your own personal health. Go Andrea! I have taken many nutrition courses and read many articles but this is the first time I have ever heard anyone apply common sense to nutrition. You provide a great approach to healthy eating that we can all relate to. Thanks! Lanny Watkins	, Senior Tax analyst, ARC Resources Ltd. 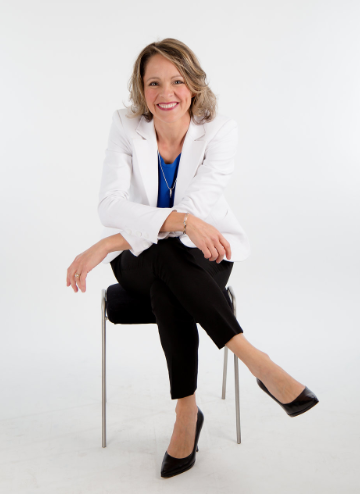 Nutrition expert Andrea Holwegner is the energetic founder and president of Health Stand Nutrition Consulting Inc. Since 2000, she has counseled hundreds of individuals, including Olympic athletes, CEOs and families, on the benefits of healthy eating. 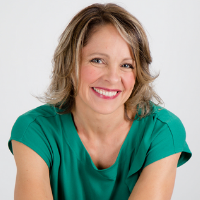 Andrea spearheads a team of highly trained and experienced dietitians within her practice. She is also known as the chocoholic nutritionist, believing anyone can achieve health without guilt or complexity, and that the secret to success is having fun. Andrea is the creator of a one-of-a-kind online nutrition course The Pursuit of Healthiness™ that focuses on helping busy people and time-strapped employees in companies achieve better energy, health and move towards their personal best weight. Andrea is one of a handful of Registered Dietitians in North America who are qualified professional speakers. She is a consultant on health trends and marketing to health conscious consumers for the food, grocery and restaurant industry. She is a columnist for the Calgary Herald, and regular on-air expert for QR77 Radio, Global Calgary Morning News and CTV Morning News. She is a member of the Dietitians of Canada, the Academy of Nutrition and Dietetics, the College of Dietitians of Alberta, the Canadian Association of Professional Speakers, and the Canadian Obesity Network. Andrea is the recipient of an award by the Dietitians of Canada: The Speaking of Food & Healthy Living Award for Excellence in Consumer Education. In her spare time, Andrea enjoys skiing, hiking and mountain biking in the Canadian Rockies. As a foodie she also adores sipping wine with her husband over a delicious meal. Most of all, she loves being a mom and playing in the dirt in the vegetable garden she grows with her son. If you have questions about the course, please contact us.